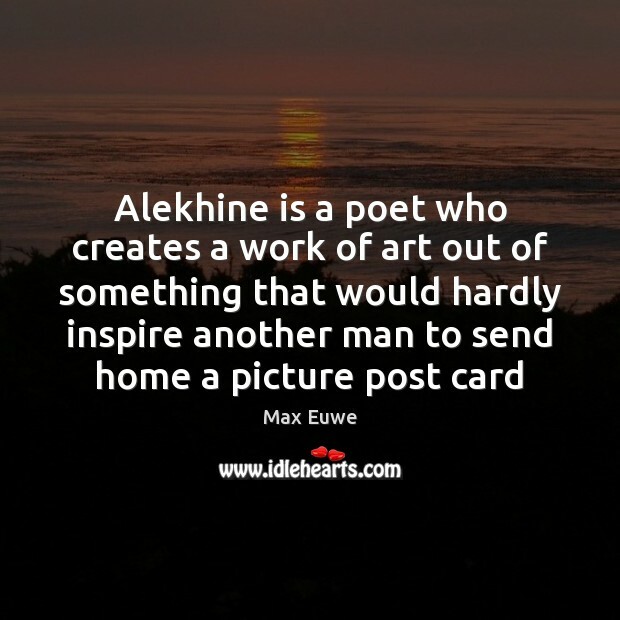 Quotations about Alekhine. Quotes to stimulate mind and drive action! Use the words and quote images to feed your brain inspiring things daily! 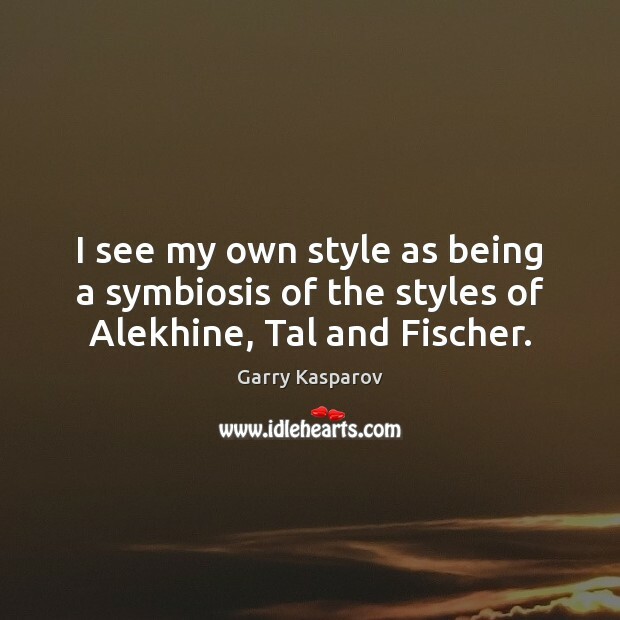 I see my own style as being a symbiosis of the styles of Alekhine, Tal and Fischer. 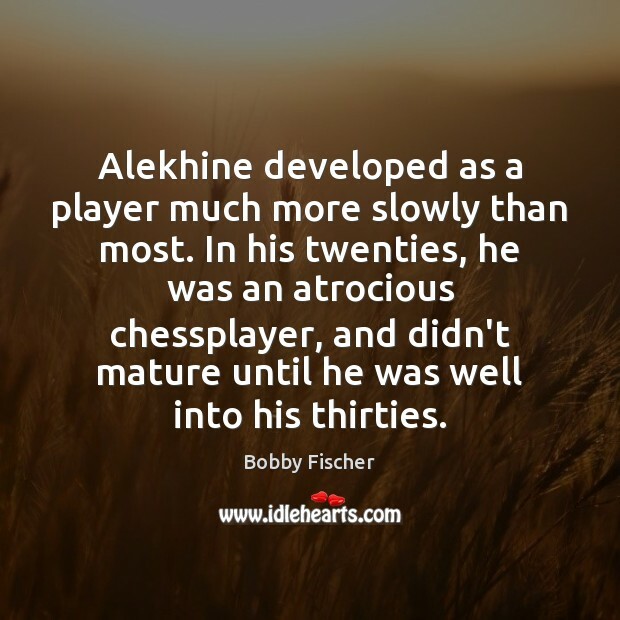 Alekhine developed as a player much more slowly than most. In his twenties, he was an atrocious chessplayer, and didn't mature until he was well into his thirties. 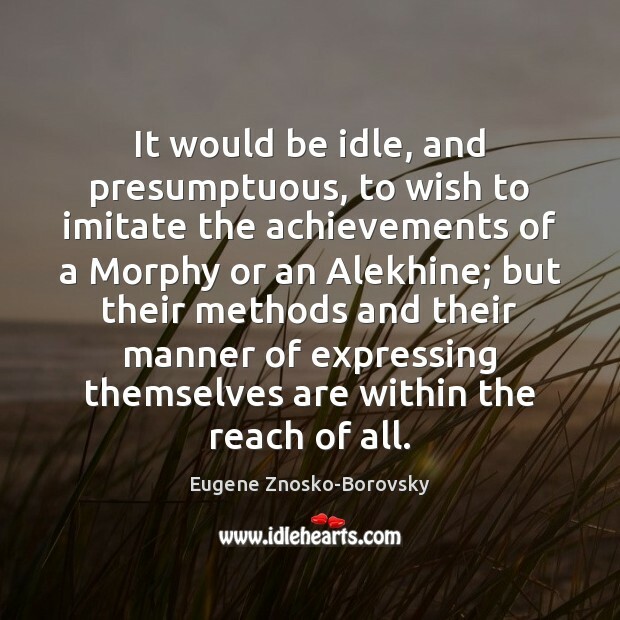 It would be idle, and presumptuous, to wish to imitate the achievements of a Morphy or an Alekhine; but their methods and their manner of expressing themselves are within the reach of all. 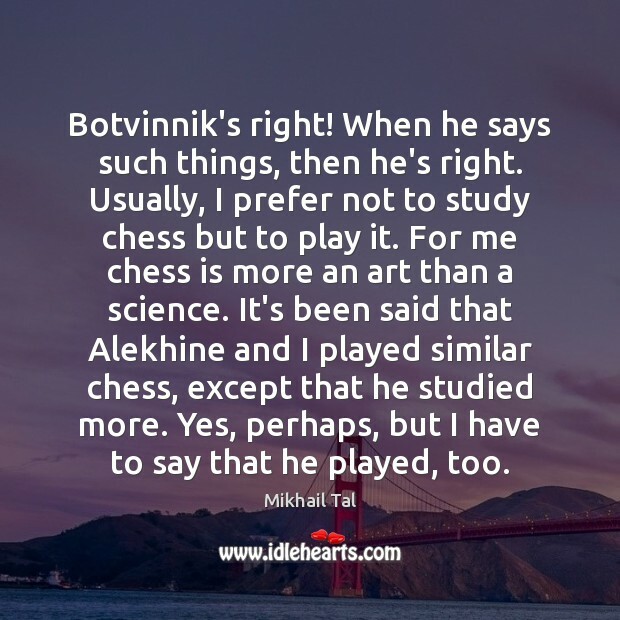 Botvinnik's right! When he says such things, then he's right. Usually, I prefer not to study chess but to play it. For me chess is more an art than a science. 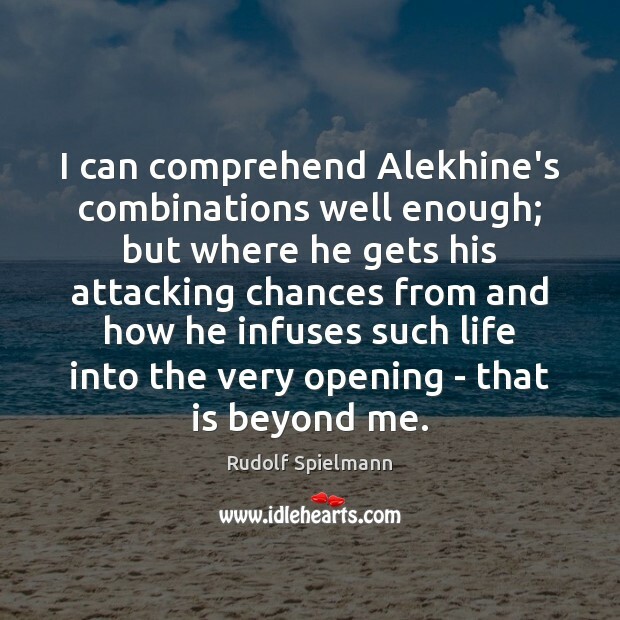 It's been said that Alekhine and I played similar chess, except that he studied more. Yes, perhaps, but I have to say that he played, too. 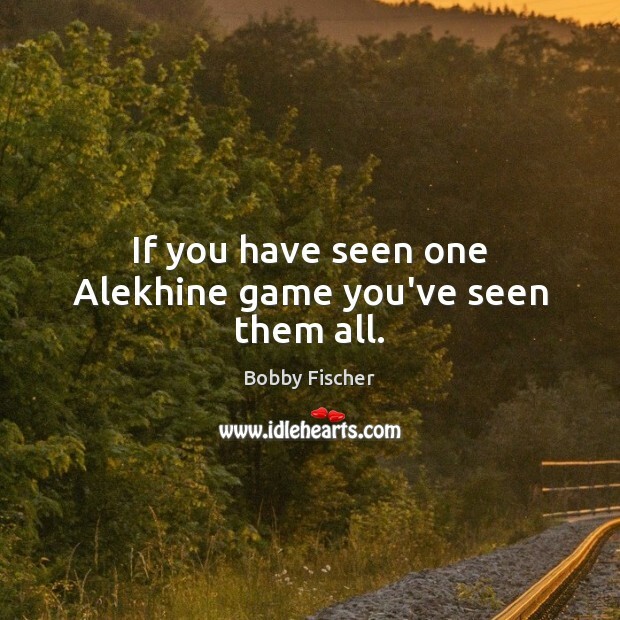 If you have seen one Alekhine game you've seen them all. I was a professional chess player in Romania, but only a small-time master. When I came to France, I continued playing chess for many years: I played tournaments in numerous countries with mixed results. I wrote and published a book - La Défense Alekhine and translated two others from Russian. 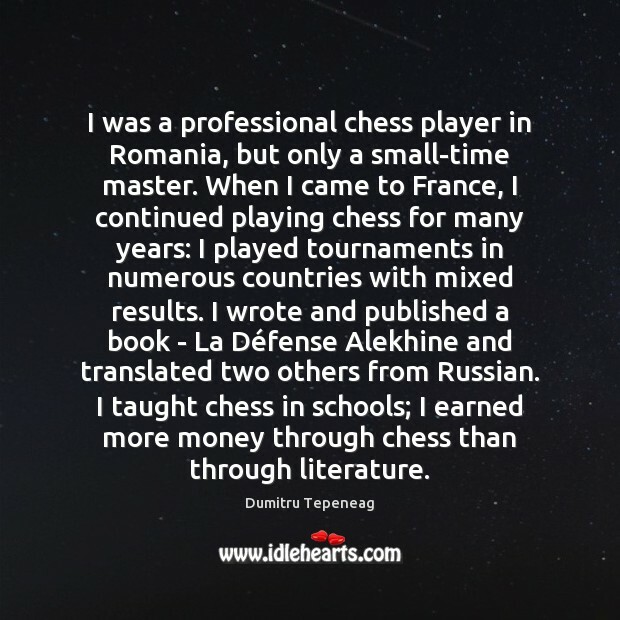 I taught chess in schools; I earned more money through chess than through literature. Play the move that forces the win in the simplest way. 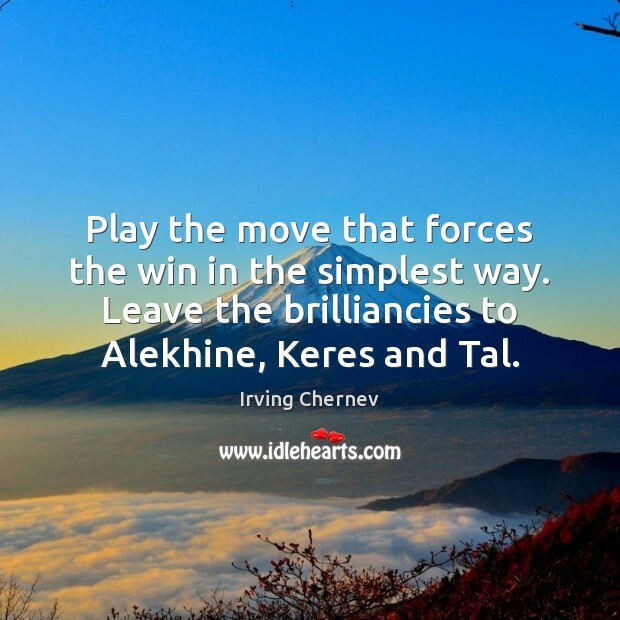 Leave the brilliancies to Alekhine, Keres and Tal. 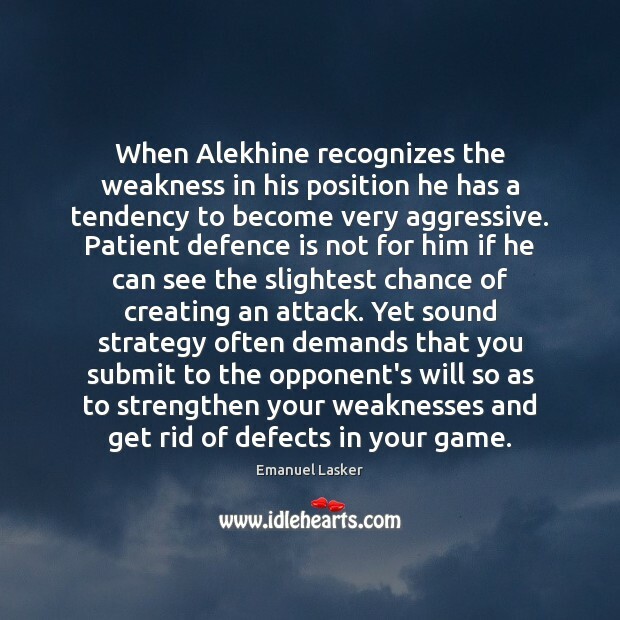 When Alekhine recognizes the weakness in his position he has a tendency to become very aggressive. Patient defence is not for him if he can see the slightest chance of creating an attack. Yet sound strategy often demands that you submit to the opponent's will so as to strengthen your weaknesses and get rid of defects in your game. 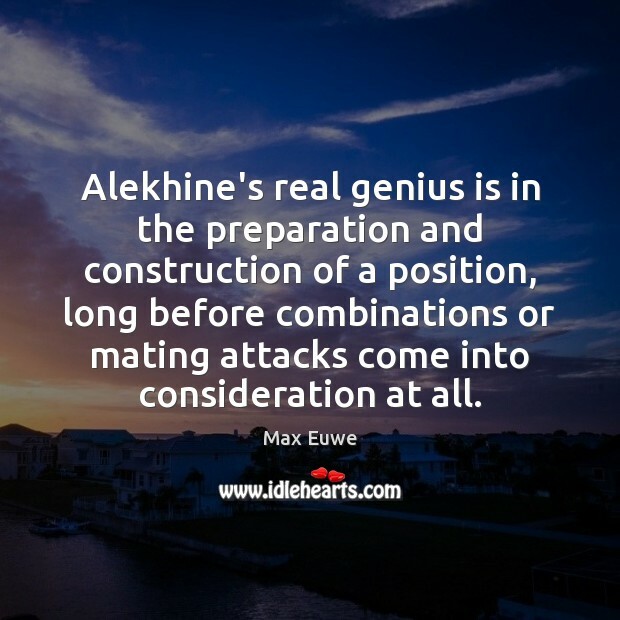 Alekhine's real genius is in the preparation and construction of a position, long before combinations or mating attacks come into consideration at all. 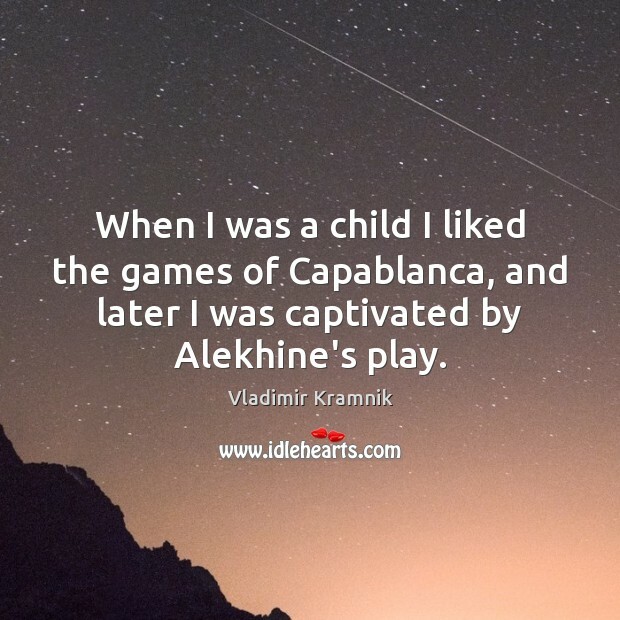 When I was a child I liked the games of Capablanca, and later I was captivated by Alekhine's play. 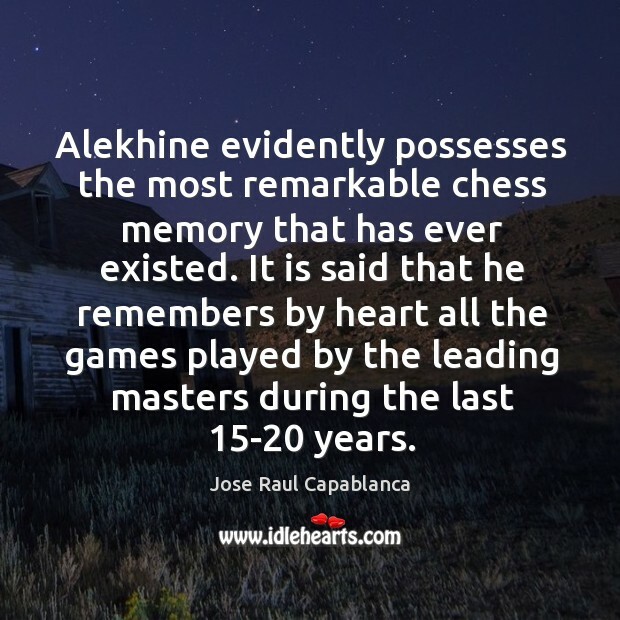 Alekhine evidently possesses the most remarkable chess memory that has ever existed. It is said that he remembers by heart all the games played by the leading masters during the last 15-20 years.